Valentine’s Day, a day to spoil a loved one or even better, be spoiled …. or a day to get your single friends together and you eat your body weight in ice cream. Whether you love or hate it, Valentine’s day is one of the many important holidays of the year, raking in more than $19.6 billion in 2018. 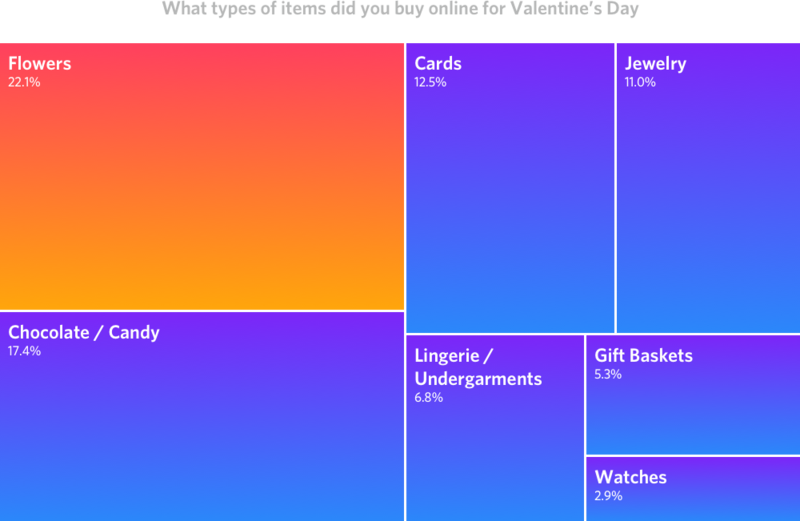 29.1% of US consumers shopped online for Valentine’s Day and spent an average of more than $100. Even though most people are loved up this time of year, it’s a very last minute holiday. In 2018, orders to companies such as FTD.com, ProFlowers.com, and 1800Flowers.com boomed in the five days before Valentine’s Day, peaking on the 13th of February. When you think of Valentine’s Day presents you might think flowers, a tonne of chocolate, coupons for back rubs and a 10-foot teddy bear. Flowers are the top item to buy online, with over 22% of shoppers buying bunches of red roses to woo their partner. This is followed by 17.4% of shoppers purchasing chocolate/candy. So Valentine’s Day isn’t a holiday to shy away from, but make sure you can offer things such as next day delivery. Whether your customers are loved up or not, spending around this time increases, which means marketing campaigns need to be looking their best to catch visitors’ attention. Sometimes we need a little nudge to push us in the right direction. Adding Countdown Timers to a campaign is a great way to provide a small dose of urgency. Using a timer on your website can tell shoppers when free next day delivery ends – which will be very handy for the last minute Valentine’s Day shoppers! Make them want you(‘re product). 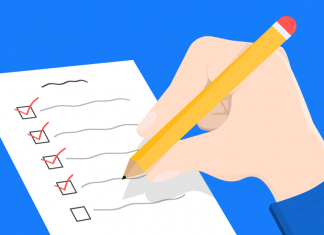 A shoppers indecisiveness can prevent them from completing a purchase. Show them how many other shoppers are looking at your product, to create FOMO (fear of missing out). Valentine’s Day is a relatively short sales event, so a little urgency can be even more effective than usual. 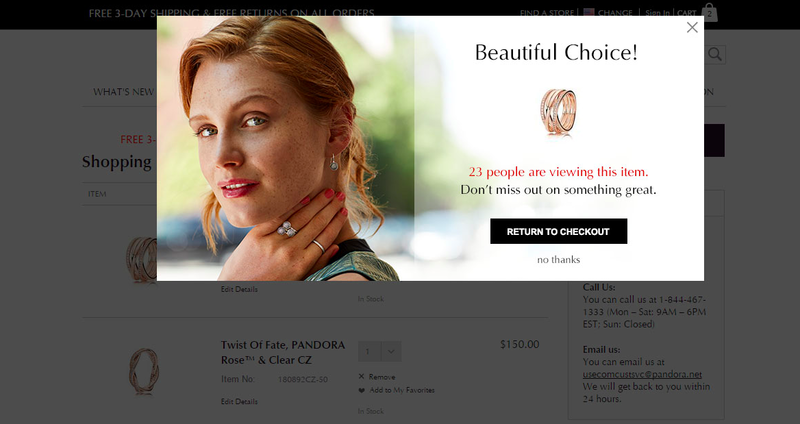 You can also drive customers back to your site by incorporating Live Trends into your cart abandonment emails. 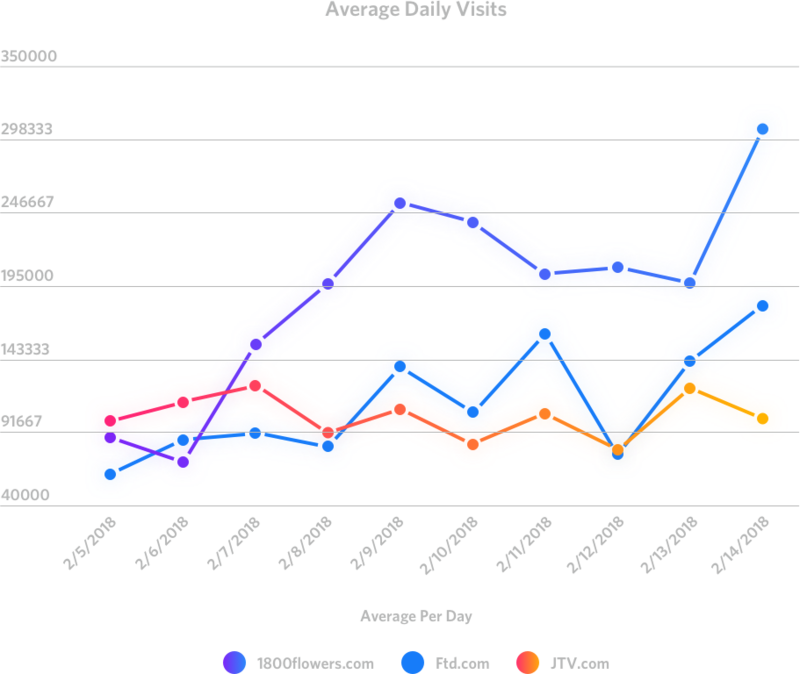 Live Trends generate impressive results, see them here. Some people are in love with their phones, they can barely take their eyes off them, so why not use this opportunity! SMS Remarketing is a powerful tool, it’s quick, direct and 90% of messages are read within 3 minutes of being delivered with an average click rate of 36%. Pretty impressive right? This means more conversions at a quicker rate. Who doesn’t want that? Finding the perfect gift can be quite difficult, a lot of shoppers will just be browsing. On average, only 3% make it past the product page and into the checkout process. Bring them back with a browse abandonment email. Reconnect with visitors by sending them an email showing the items they have viewed, as well as suggesting other items. So to wrap up this love story, online retailers should get involved in the Valentine’s Day Holiday, as long as they ship quickly, offering features such as next day delivery. It’s a time of year where shoppers are looking to spend, which is great after January, in which people can be reluctant to spend. So get ready for shoppers to fall head over heels in love with you and your products!